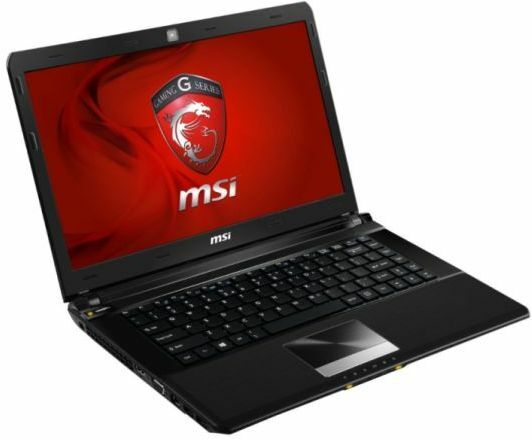 MSI GE40 gaming notebook features 14-inch Matte anti-glare LCD in LED backlight HD+ display of 1600 x 900pixel resolutions. It is powered by 2.2GHz quad-core Intel Core i7-4702QM processor(3.2GHz in Turbo Mode) with NVIDIA GeForce GTX 760M 2GB GDDR5 GPU. 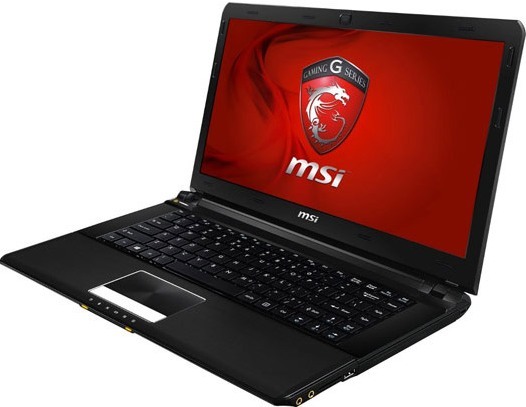 The MSI GE40 gaming notebook runs on Windows 8 OS and comes with 8GB of DDR3 1600MHz SDRAM. Storage options of MSI GE40 includes 128GB mSATA SSD and 750GB hard drive @ 7200 rpm. Other features includes HDMI 1.4, VGA port, gold flash audio jack, Super RAID design. It comes with a standard battery which delivers 3hrs. of non-stop gaming. It measures 1.14 inches thick and weighs 4.4lbs. MSI GE40 is available now for online from Amazon where customers can get it for $1200 USD. Tags:MSI GE40 Gaming Notebook, MSI GE40 Gaming Notebook features, MSI GE40 Gaming Notebook specifications, MSI GE40 Gaming Notebook review, MSI GE40 Gaming Notebook details, MSI GE40 Gaming Notebook availability, MSI GE40 Gaming Notebook specs, MSI GE40 Gaming Notebook images, MSI GE40 Gaming Notebook pics, MSI GE40 Gaming Notebook pictures, MSI GE40 Gaming Notebook price.